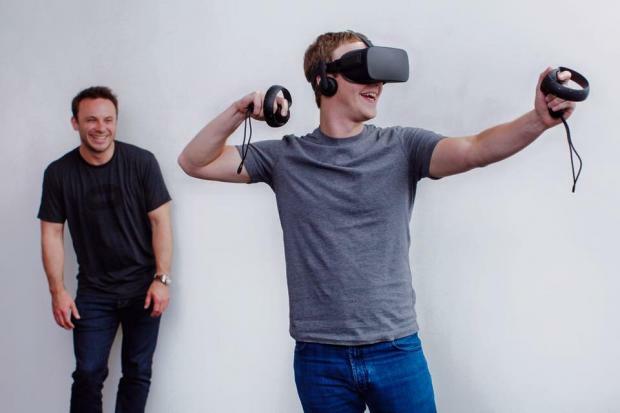 Facebook And Oculus Rift, Exactly What Is Going On? A look at the slow decline of the Oculus Rift from its debut in 2012 to the recent lawsuit and the departure of co-founder Palmer Luckey. Sometimes, what could be major business news gets pushed down by larger headlines. For instance, Facebook. The social media giant may not be en vogue in the wake of Elon Musk or the ISP security vote, but the child of Mark Zuckerberg is not without its share of woes with its most infamous acquisition, the Oculus Rift. As many of you know, back in 2014 Facebook acquired the then promising startup Oculus VR founded by Palmer Luckey. In a time when VR was otherwise considered diseased Luckey developed the Oculus, a VR headset as a unit that was to be more capable than anything else on the market at that time. The idea was to make the product inexpensive for gamers but still effective. He would debut this product at the 2012 Electronic Entertainment Expo (E3) that year. He even got the likes of John Carmack, founder of Id Software (makers of Doom) to leave the company to join him. From there the company launched a successful Kickstarter reaching over $1 million in funding and promising dev kit versions of the Rift to backers which wouldn’t ship until four months after their initial promised date of December 2012. That’s why you saw all of those VR Let’s Plays. After that, it was a successful Series B funding to the tune of $75 million, and it seemed that the only thing in the way of the product’s success was the proper development of the device. In a move that surprised everyone (and prompted a few million “Farmville VR” jokes), Facebook acquired the company and earned lots of criticism in the process. Backers felt betrayed by the acquisition, and the negative press got to such a point that Markus ‘Notch’ Persson withdrew support of his game Minecraft (you know, that one everyone was playing on PC?) from the peripheral. The reason why is because critics and developers refused to believe that the original intent of the Rift would be preserved with this acquisition. Yes, the possibility of the device seeing worldwide distribution became greater, but the gaming community as a whole did not see Facebook as a company that facilitated gaming, nor had aims to do so. Sure enough, the objective changed as Facebook shifted focus from using the Oculus Rift as a gaming tool to a communications platform that would serve users advertisements. Of course, that was three years ago. This is now. The first issue the Rift has faced since then is the steady rise in competition with the likes of HTC’s Vive, Sony’s PlayStation VR and just unadulterated smartphones with cardboard box headsets. Many critics cite the issue being the cost of such headsets with Vive being the most expensive at $799 US. 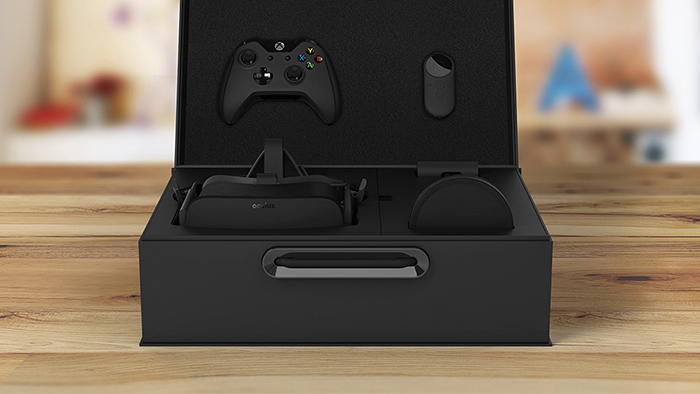 Additionally, while the Oculus did recently receive a price cut to the tune of $499 it still only moved 400,000 units its first year (2016) and still required a high-end PC to operate, (also custom controllers for the device weren’t released until that same year). Then it just got worse. In February Facebook faced a lawsuit over the Oculus Rift. The lawsuit claimed that Luckey and Carmack broke their NDA by releasing information about Id Software to Facebook and that they took proprietary code before leaving the company. Despite the jury’s decision of not guilty Facebook still had to pay $500 million for the NDA violation. And now, amidst this storm of controversy and bad press, the co-founder Palmer Luckey has left as of this Friday (March 31st). With the announcement, Facebook has released the typical “we wish him all the best.” And “helped kickstart the modern VR revolution…” statement. There are countless theories as to the reason for Luckey’s departure, from the lawsuit to the revelation in September that he donated to Nimble America, an organization that trolled the Clinton campaign. Sources cannot determine if Luckey resigned or was fired at this time as neither Facebook or Luckey are willing to comment on the matter. It is known that there were multiple Oculus resignations in the wake of this announcement. So, despite Mark Zuckerberg’s assurances that VR is the future, that future isn’t looking too bright for the once-promising startup. bⅼogs We’ve ever arrive aсross on this subject. Actually Great. I am also an expert in this topiϲ so I can understand your hard work. VR is still only a toddler, but it’s future is assured (and Enhanced Reality, VR’s younger brother will be enormous) I.M.O. Facebook may not be the ideal environment for VR’s growth, but I believe Facebook is more than adequate to bring it to adolescence. I agree with OkinSama’s observation above. This article seems to be pushing a false narrative about Oculus.. Specifically, they’re not “in decline” at all. Both Oculus and HTC are seeing steady growth in the VR industry, and are only preparing for it to get bigger. In addition, the author seems to be HUGELY mistaken about the timeline of events.. Oculus just did their price drop, a couple months ago, and there are no sales numbers from that yet, but the number of players in Online VR games has gone up dramatically recently.